Welcome to the Unfinished Book WikiProject. The purpose of this project is to fully incorporate the contents of FASA/FanPro/CGL titles into BattleTechWiki, through multiple-Editor collaboration and coordination. See the Current Missions section for the latest discussions. The Unfinished Book WikiProject (UBWP) intends to choose one book from the extensive 25-year library of the BattleTech gaming universe and divide the contents of the book into manageable sections for the inclusion into BattleTechWiki, through the efforts of individual Editors. Once one book is considered fully incorporated into BTW, it will be marked as 'complete' and the project will then move onto another title. For example, if the book FedCom Civil War was the focus of the Unfinished Book WikiProject, the project would have progressively smaller sections assigned to volunteer Editors, who would work exclusively (in regards to the Project) on that section, incorporating each fact (people, events, dates, names, etc.) into the appropriate articles, until it was completed. The project is named after the Unfinished Book Movement (UBM), a continuous project from within the Federated Inter-Faith Congress, a Federated Suns council of religious leaders comprised of that state's various faiths. The comparison between the two projects comes from the desire to document all that is known from a library of tomes, as compiled by a disparate group of scholars from all walks of life, interests and philosophies (i.e., the editing staff of BattleTechWiki). Whereas the members of the UBM seek to bring peace to the Inner Sphere through the promulgation of all known spiritual wisdom, the members of UBWP seek to bring knowledge of the BattleTech universe to all of its fans, including themselves. and in the process, help to define and refine the policies of the site that help guide article creation and expansion. Mission Jihad Turning Points: Luthien is completed. The second project, Mission Jihad Turning Points: New Avalon, is started. The Project has launched, with Jihad Turning Points: Luthien the target of the first mission. The Project is unveiled; discussions begin regarding the first targeted book. Project Unfinished Book is under development. Please feel free to join up to work on the Project by adding your name to one or both Project groups (below). The current Mission Lead will contact you with further information. Fact Checkers both lead and follow Research Writers. Prior to the writer's first entry in regards to the assignment, the Fact Checker generates a list of articles that are relevant to the assignment, which the writer follows. Then, when the writer indicates the assignment is completed, the Fact Checker ensures each related article has been addressed and tackled. They start off by reviewing each article they assigned the writer and then check to see that the Researcher provided data to the associated articles. If some articles are found to be neglected, the Writer is informed. The Fact Checker could be seen as the Research Writer's 'assignment editor' and 'article grader'. Mission Leads head up specific projects, aimed at one title. They may not lead more than one mission at a time, though they may perform other roles within other missions. They oversee the efforts, provide assignments to the team members and -basically- ensure that the project is moving forward within the goals of Project: Unfinished Book. The Project Lead coordinates the various missions of Project: Unfinished Book, such as determining the next mission, assigning team members to the mission and providing guidance to Mission Leads. 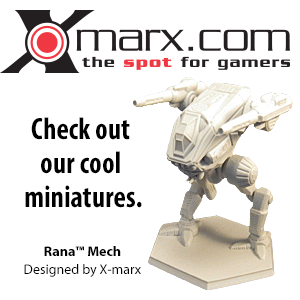 He also reports to the general population of BattleTechWiki the status of each project. The current project lead is Revanche. This article is within the scope of the Unfinished Book WikiProject, a collaborative effort to improve BattleTechWiki through the data-mining of official BattleTech publications. If you would like to participate, you can visit the project page, where you can join the project and see a list of open tasks. See the template for usage documentation. 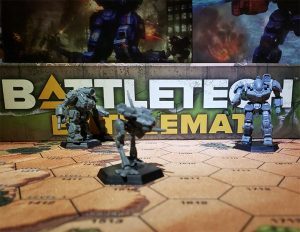 This article's subject is currently within the scope of the Unfinished Book WikiProject, a collaborative effort to improve BattleTechWiki through the incorporation of complete BattleTech publications. If you would like to participate, you can visit the project page, where you can join the project and see a list of open tasks. This article's subject was once within the scope of the Unfinished Book WikiProject, a collaborative effort to improve BattleTechWiki through the incorporation of complete BattleTech publications, and is now considered completed or fully incorporated into the wiki. If you would like to participate, you can visit the project page, where you can join the project and see a list of open tasks. This page was last edited on 23 March 2012, at 13:17.